The plane, a Boeing 747-244B Combi named Helderberg, took off from Chiang Kai-Shek International Airport, Taiwan on the same day with 140 passengers and 19 crew members on-board. The flight to Plaisance Airport-Mauritius started without any apparent abnormal occurrence and no-one could ever imagine then that a tragic event was going to happen in the early hours of the following day. 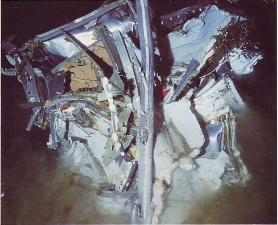 The flight ended in a catastrophic crash in the Indian Ocean, just off Belle Mare Beach on the eastern coast of Mauritius, killing everyone who boarded the Helderberg. While South African Airways Flight 295 was approaching Mauritius, a communication from the aircraft’s cockpit informed Plaisance Airport’s Air Traffic Control (ATC) about an in-flight fire in the cargo area and requested an emergency landing. Below is a transcript of the communication between Helderberg’s cockpit and Plaisance Airport’s ATC. Eh, <?xml:namespace prefix = st1 ns = "urn:schemas-microsoft-com:office:smarttags" />Mauritius, Springbok Two Nine Five. Springbok Two Nine Five, eh, Mauritius, eh, good morning, eh, go ahead. Eh, good morning, we have, eh, a smoke, eh, eh, problem and we're doing emergency descent to level one five, eh, one four zero. Confirm you wish to descend to flight level one four zero. Ja, we have already commenced, eh, due to a smoke problem in the aeroplane. Do you wish to eh, do you request a full emergency? Springbok Two Nine Five, Plaisance. Do you, eh, request a full emergency please a full emergency? Roger, I declare a full emergency, Roger. Request your actual position please and your DME distance? Eh, we haven't got the DME yet. Eh, Roger and your actual position please. Now we've lost a lot of electrics, we haven't got anything on the aircraft now. Eh, Roger, I declare a full emergency immediately. Eh, Springbok Two Nine Five, do you have an Echo Tango Alfa (ETA – Expected Time of Arrival) Plaisance please? Do you have an Echo Tango Alfa Plaisance please? Ja, eh, zero zero, eh eh eh three zero. Roger, zero zero three zero, thank you. Hey Joe, shut down the oxygen left. Eh, Plaisance, Springbok Two Nine Five, do you copy? Eh, negative, Two Nine Five, say again please, say again. We're now sixty five miles. Ja, affirmative Charlie Charlie. Clearance and weather info. Eh, Roger, Springbok eh, Two Nine Five, eh, re you're recleared flight level five zero. Recleared flight level five zero. And, Springbok Two Nine Five copy actual weather Plaisance Copy actual weather Plaisance. The wind one one zero degrees zero five knots. The visibility above one zero kilometres. And we have a precipitation in sight to the north. Clouds, five octas one six zero zero, one octa five thousand feet. Temperature is twenty two, two two. And the QNH one zero one eight hectopascals, one zero one eight over. Roger, one zero one eight. Affirmative, eh and both runways available if you wish. And two nine five, I request pilot's intention. Eh, we'd like to track in eh, on eh one three. Affirmative and you're cleared, eh direct to Foxtrot Foxtrot. You report approaching five zero. 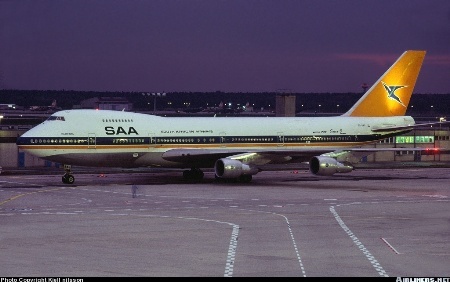 Following the crash it was widely suspected that the South African Government, an apartheid regime under an arms embargo at that time, was using South African Airways' aircrafts to smuggle arms and that the ignition of a missile rocket was the cause of the fire on board SAA Flight 295. The press and public opinion, on the other hand, surmised that terrorist acts brought down the Helderberg. The official report of the commission of inquiry chaired by Judge Cecil Margo determined that the loss of the airliner was due to a fire that occurred in the main deck cargo hold. 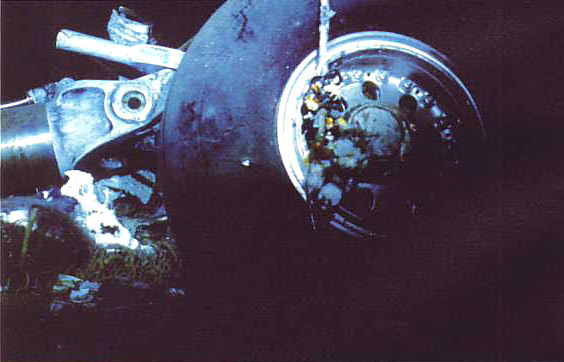 The crew became incapacitated due to smoke penetrating into the cockpit. 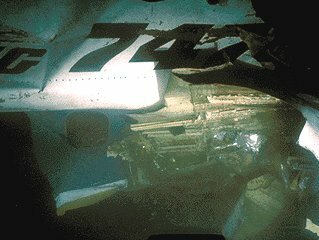 The fire weakened the aircraft's structure and the tail separated leading to crash. 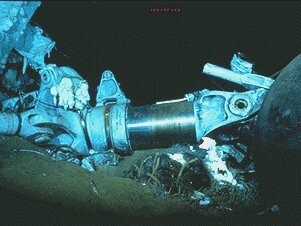 The cause of the fire could not be determined. and crew who tragically lost their lives. 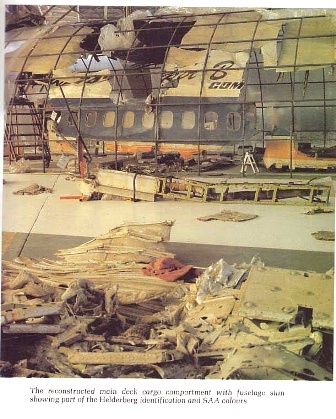 Cineflix produced an episode in its Mayday series (also known as Air Crash Investigations in the United Kingdom and Australia and Air Emergency in the United States) to document the crash.